15. Functional Quantization and Applications to the Pricing of Path-Dependent Derivatives. Mathematical finance is a prolific scientific domain in which there exists a particular characteristic of developing both advanced theories and practical techniques simultaneously. 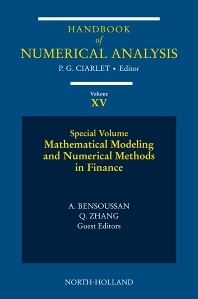 Mathematical Modelling and Numerical Methods in Finance addresses the three most important aspects in the field: mathematical models, computational methods, and applications, and provides a solid overview of major new ideas and results in the three domains.